Photographing bride is indeed a surreal experience. 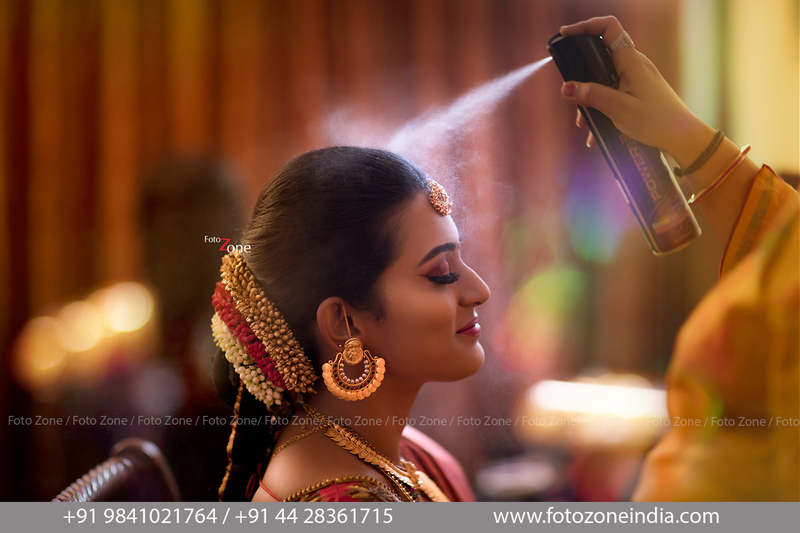 Close to two decades, we at FotoZone have dabbled across all genres of photography and if there is one thing that stays visceral and close to our hearts and equally challenging is photographing the bride. So much goes into a bride’s mind on the day of her wedding, that it could be difficult as a photographer to decide which to capture and which to note. 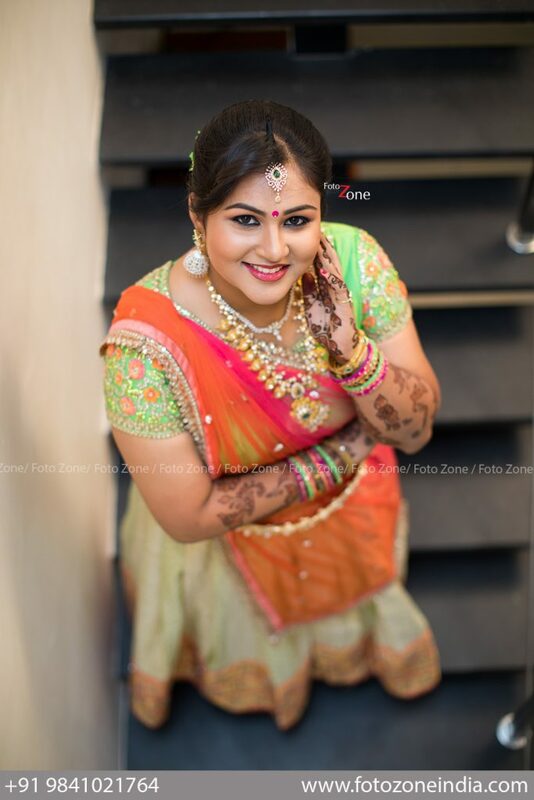 The following tips give a large idea on how best to photograph the bride and how well to get your creative thoughts out. 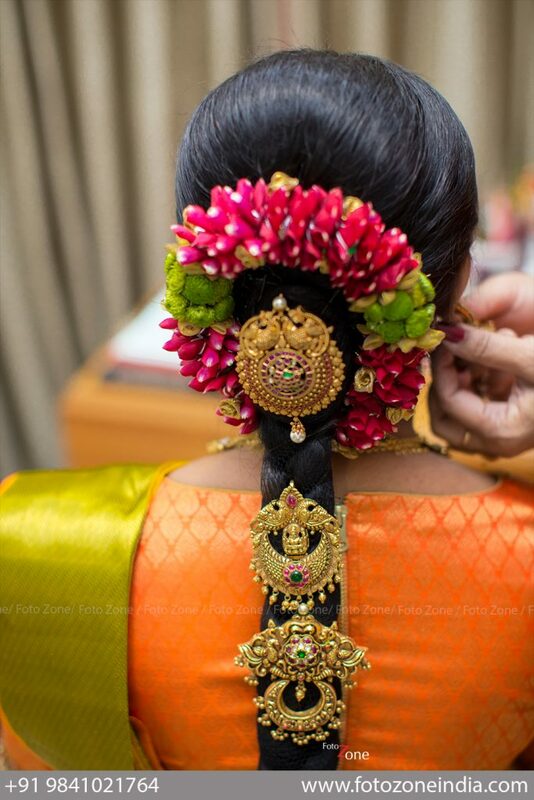 Any bride loves to see herself all dazzled up and looking her best ever on the day of her wedding. Now, let’s make that straight. 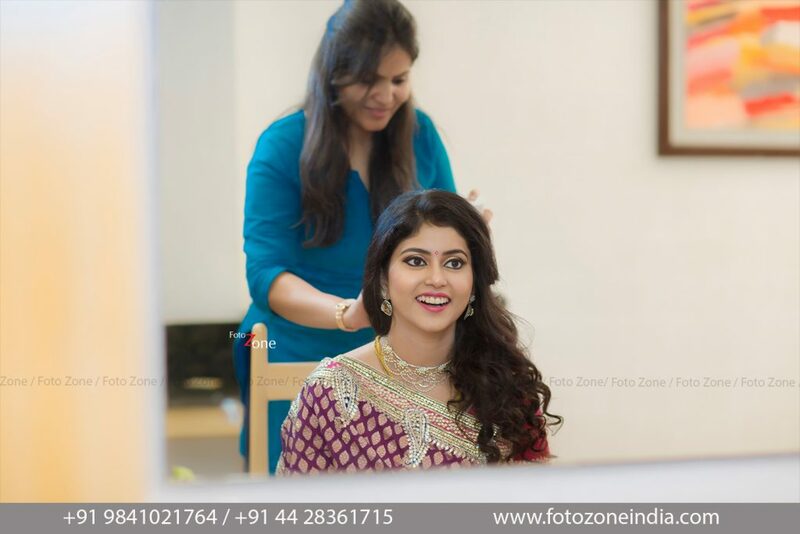 If your idea is to take photographs of the bride ‘while getting ready’ – let us tell you straight, let it not be just a portrait. First, it is boring and second, if you were to print that on a photo album, it’s certainly going to upset the lady. Getting ready photographs to include all moments of before the pinnacle moment of the wedding itself. 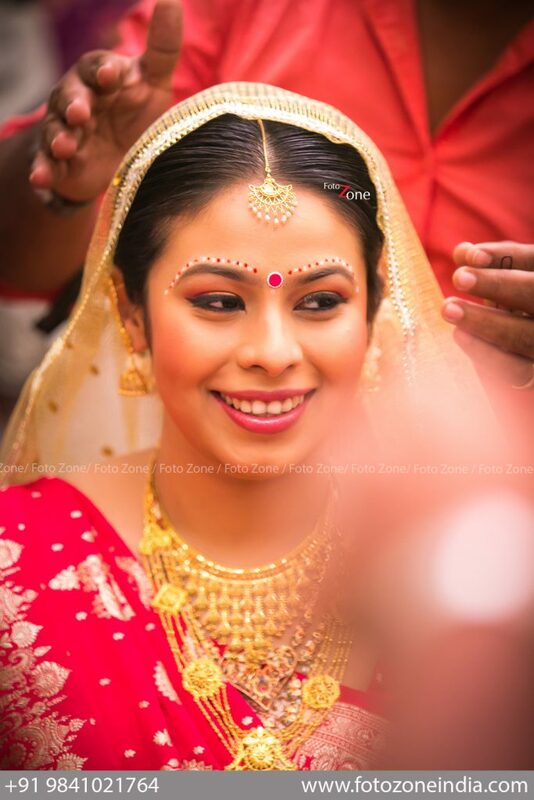 The bride could have visitors, she could be going through rigorous makeup – all of that to be captured. 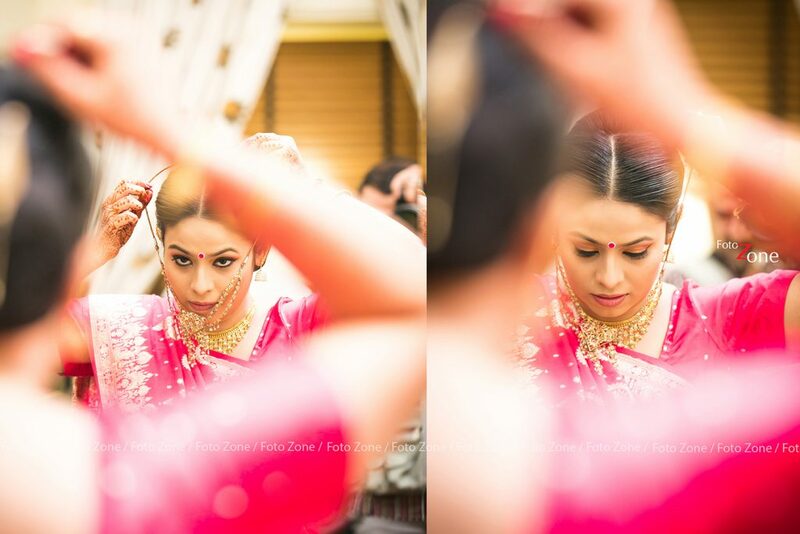 However, if you were to capture her all alone and that too before her make up, ensure to bring in drama to the frame. Let it not be just another portrait shot but a play of light and patterns. Photographing wedding jewellery all by themselves or the bride checking them out is a good idea too. While these are already considered cliche, its good to have some to record the moment and also one could get creative at it! Just chronicling the beauty routine is a great idea. Every ten minutes is a good time gap to photograph another frame of the bride getting ready. While a large chunk of it has been explained above, think of this as a time-lapse set of photographs. You could also capture the entire mood of the room, with all her accessories surrounding her and waiting to be touched upon by her. Marriage is indeed a very important moment in life. 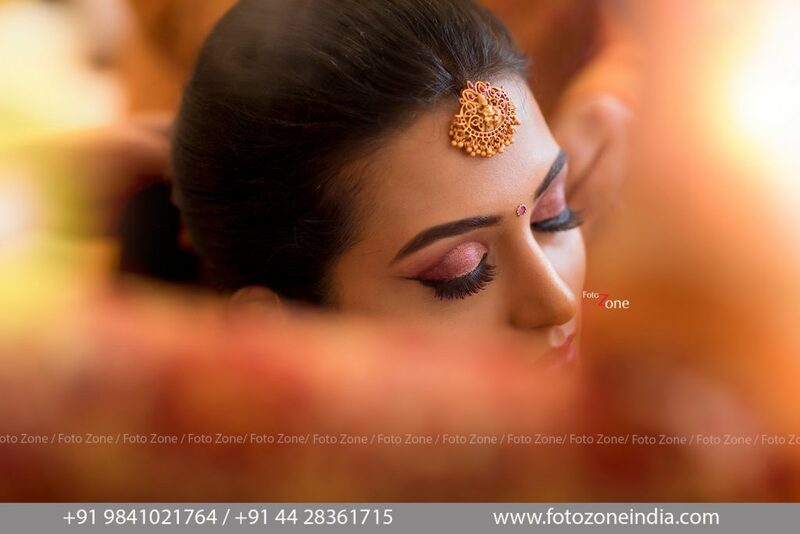 What is even more crucial is to capture those ‘thoughtful moments’ of a bride. If you were to observe closely, you will notice the bride effortlessly slipping into some thoughts. Find a solo moment or even if it’s a crowded moment – ensure to capture that as a frame. Happiness, puzzled, fear, joy, laughs and sometimes frowning are some of the expressions that you might largely find in a bride hours before her wedding. After all, it’s her day and she has the right to decide every intricate detail and the best at it. Who doesn’t love candid shots? The moments of truth captured as a frame is the best way to express any occasion. Watch closely for all kinds of visitors to the bride’s green room – right from children to her parents to her friends and relatives. Every person brings in a unique perspective and emotion. Capture all of it and try various angles too. Not every shot needs to be up close and tight. It can also capture the mood in the room – a wide angle. 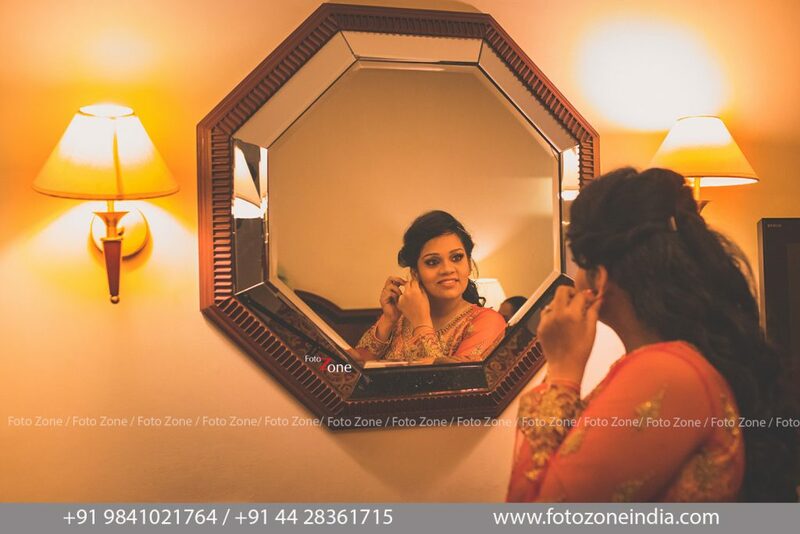 If the groom visits her in her green room, capture it and ensure to have some couple shots taken too. Go an and enjoy your bridal photography. We are happy to assist budding photographs to do their best.